This calendar is intended to provide an overview of events for a given month and is accurate when posted. However, events sometimes get added, changed or deleted on short notice and may not be reflected on this calendar. You may therefore wish to check our adoptions page and/or news & events page (below calendar) for any last minute changes and/or additional information. If you are uncertain about a specific event, you may also contact the shelter at 217.835.2538, or website editor at 217.965.4149 or 217.891.0502. Our members receive mailed newsletters three times a year. If you would like to become a member, or submit a change of address, you may download a form by clicking on the link below, and e-mail it to: bigaho@royell.org , or you may call us at 217.965.4149 or 217.891.0502. ​Alexandria, Lishelelette and Trudy have all been adopted into loving homes, while Molly and Zaney will need further surgeries to prepare them for their forever homes. We want to express our utmost appreciation to all those who contributed in any way to help these little guys and dolls, thus giving them the chance to know what it's like to live in caring, loving homes. We especially want to thank Dr. Saner and Coble Animal Hospital in Springfield for their assistance in this endeavor. At the same time, as stated above, some of these dogs, as well as others at the shelter and those still to arrive in the future, will require expensive medical care, and so we are still accepting donations to this fund. 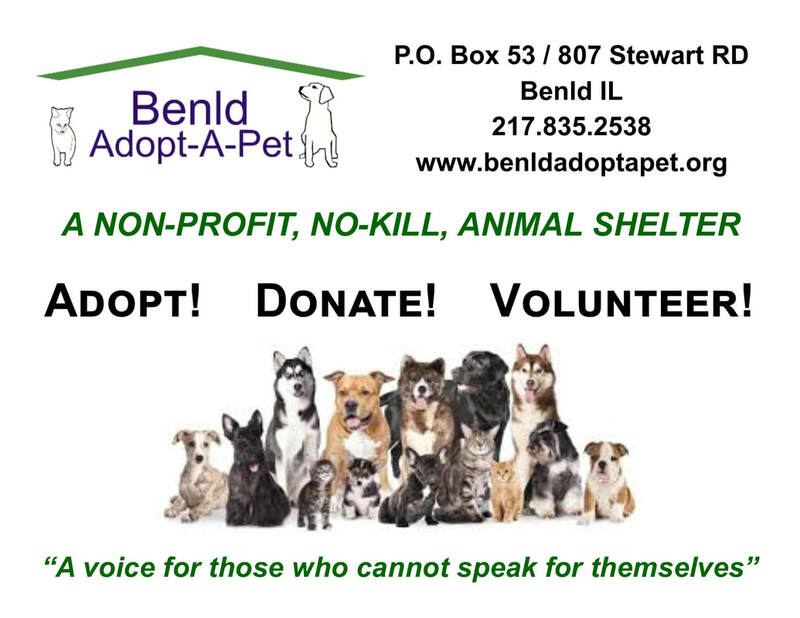 Thanks to all of you from all at Benld Adopt-A-Pet (and from the animals)! From left, Trudy, 8-1/2 year old female Poodle, and, Zaney, 7 year old female Maltese, when they first arrived at the shelter, and below how they now look. Dr. Saner and Coble Animal Hospital have agreed to perform surgeries needed to remove multiple mammary tumors, spay/neuter, perform dental work, address heart disease, and resolve other issues for a group of small dogs that we rescued from a life of breeding. They have given us a much reduced rate for all this veterinary care, but it will still cost thousands of dollars. We really need your help in getting these little dogs the medical care they need in order for them to be adopted, as this is the only way in which these poor little doggies may know how it feels to live a comfortable life in a loving home. Your donation in any amount will help cover the cost of getting them the treatment they require. Donations may be sent to the shelter earmarked for veterinary care by clicking on the "DONATE" button at the top of this page, or by calling (217.789.4200) or visiting Coble Animal Hospital, 2828 S MacArthur Blvd, Springfield, and telling them you wish to donate to the Benld Adopt-A-Pet Veterinary Fund. Whichever way you wish to donate, we cannot stress enough that no amount is too small. From left, Lishelette, 10 year old female Yorkie; Alexandria, 9-1/2 year old female Yorkie; and Molly, 11 year old female Yorkie. Above, how they looked when they first arrived at the shelter, and below how they look now. To donate, click on "DONATE" button below, choose "Macoupin County Adopt-A-Pet" as organization (upper right), click on "GIVE" button at bottom right, and fill out donation form. If you have any difficulties, please call 217.891.0502. Benld Adopt-A-Pet, regrettably, will not be publishing an annual calendar for 2019. We do expect to resume publication of this calendar in 2020. Meanwhile, if any of you would like to receive our monthly calendars as they come out, please e-mail us at: bigaho@royell.org , and we will send them to you via return e-mail. For more information call 217.891.0502. Here's a chance for you to get a bargain on your purchases while, at the same time, helping the animals. Just click on the "smile" link above and designate Benld Adopt-A-Pet as your charity of choice. Thank you!